In this issue we bring you the third pesticides problem that requires government attention. The first was that of spray drift and we report below on the government’s latest pronouncements on the subject. The second was that of endocrine disruptors (see the March/April issue). The third is the principle of minimum harm. It’ s a very simple principle, utterly logical and rational. It goes like this: whatever activity it is that you are undertaking, do so in a manner that causes minimum harm to the environment and its constituent members. It is based on the view that other species have a right to existence on this planet in the same way that humans do – no greater or lesser right, we are all part of the same ecosystem. For this reason, if no other, they warrant our respectful attention. There are, of course, other reasons such as the delicate intricacy of interconnections that bind all organisms in the ecosystem in a dynamic relationship – upset that and all sorts of unexpected events can occur. There is also what Polish ecological philosopher Henryk Skolimowski refers to as “reverence” for nature. We don’ t see many dragonflies and damselflies these days, but on that odd occasion when we do they have the ability to teach us something. They can stop us in our tracks to wonder at their magnificence: their iridescent hues, their delicate glistening wings and elegant hovering, backward and sideways flight. Their ancestors appeared more than 300 million years ago. Why are there now so few of them? Why do we care so little about anything other than ourselves that we just let these creatures be all but exterminated? Given the great welter of environmental disasters already meted out upon planet Earth by humankind, and our ever-increasing understanding of the side-effects of our actions – ranging from endocrine disruption to global warming and beyond no doubt – why would anyone consider it sensible to inflict unnecessary harm on the environment? Apparently, the New Zealand Government did when it dreamt up the HSNO Act, the Agricultural Compounds and Veterinary Medicine (ACVM) Act, and the Environmental Risk Management Authority (ERMA). ERMA will very soon give authority to everyone in the country to use a great raft of pesticides without making any attempt to minimise the harm they cause, just as the Pesticides Board has done for the last 20 years. Rename the authority the Environmental Risk Minimisation Authority. Change the HSNO Act and the ACVM Act to require that the principle of minimum harm be incorporated into the criteria for registering and using pesticides. This is not a new idea, not at all radical. The principle of minimum harm was spelled out by environmental philosopher, Paul Taylor, in 1986 in his book Respect for Nature. The principle acknowledges that humanity necessarily causes damage to the environment in pursuit of its basic and non-basic needs, but prescribes that this damage should be minimised. Even the World Bank acknowledged it in 1993: “To be ethical the project with the least environmental impacts should be selected” (Montague 1996). It is highly doubtful that the World Bank actually applies this ethic, given its support for the Narmada dam project in India in which one dam alone out of the 3200 planned for the Narmada River will displace and ruin somewhere between 40,000 and 85,000 families and flood thousands of acres of fertile farm land in a country with a desperate shortage of such land (Roy 1999). Mega-dam projects are the ultimate environmental destroyers. But even before Taylor’s book, and the World Bank’ s doubtful ethic, the principle actually found expression in chemicals policy in Sweden, in which it is known as “the principle of substitution”. The Swedish Act on Chemical Properties charges that “anyone handling or importing a chemical product must take such steps and otherwise observe such precautions as are needed to prevent or minimise harm to human beings or to the environment. This includes avoiding chemical products for which less hazardous substitutes are available” (Bergkvist et al. 1996). There it is. Very simple. If there are two pesticides that do the same job in controlling a pest, then the least harmful one should be used, and the more harmful one deregistered. Green MP Sue Kedgley has included this principle in her private member’s bill aimed at reducing the risk from pesticides. Actually, this is only the first part of the principle of minimum harm. The second part applies, not just to pesticides, but to all pest management methods: thus it substitutes less harmful methods for more harmful pesticides. Hence a pesticide would not be registered if there exists a practical and effective method for controlling the offending organism(s) to the required levels, with less harmful effects on the environment including human health. Again, this concept is not a new one: Rachel Carson concluded in 1962 “chemical pesticides should not be used where there are acceptable substitutes”. It is also included in the Swedish pesticide policy, in the benefit analysis part of their of risk-benefit assessment process. Here the need for a pesticide must be demonstrated before it is accepted for registration, that need being in part dependent on the lack of existing pesticides, and on non-chemical methods (Bergkvist et al. 1996). “If equally effective, non-chemical methods are available for a certain control a pesticide will be banned for that control” (Liden 1989). The principle is easy. Making it operate is not so easy, for that depends on a degree of political will, on a respect for nature and a consequent change of attitude towards pesticides and pest management. It would also depend on an understanding of the nature of non-chemical methods. For example, if the pesticide is compared with an isolated non-chemical technique removed from the systems approach upon which its effectiveness might depend, then nothing would have been achieved. Frequently, and especially in organic production systems, control of pests, weeds and diseases is interconnected through a variety of management and other non-chemical techniques, all of which may depend on the proper functioning of each of the others for success – just like the ecosystem itself. Is it too much to hope that the Labour-Alliance government will pick up this very fundamental principle of minimum harm, and apply it to pesticides within the three years of their term? On the tail of Laurie Newman’ s release of the OSH findings relating to his exposure to 2,4-D (reported in the March/April issue), more pressure was exerted on the government regarding the Agricultural Chemical Trespass Bill, still in the Parliamentary ballot system. In response to a question in the House by Greens Co-leader Jeanette Fitzsimons, environment Minister Marian Hobbs stated that the government was not going to pursue that bill, but instead was going to pass the HSNO regulations developed under National, the regulations that will make spray drift legal below certain maximum levels. This statement was followed by a press release from the Minister saying that “she is reserving her options on calls to outlaw spray drift”. Please, those of you who have suffered the effects of spray drift, or who don’t wish to, please write to Minister Hobbs and inform her that there is NO acceptable level of spray drift. Send a copy to Helen Clark. Tell her that her Ministry’s regulations will condemn people who have already been made ill by spray drift and hence are sensitive to very low levels, and people who suffer multiple chemical sensitivity (perhaps 15 per cent of the population), or immune system problems, or neurological problems. Tell her that it takes only a minute amount of an endocrine disruptor to create havoc in the human system, causing among other things lowered IQ and disruptive behaviour. Tell her that, because the regulations are based on the average healthy male and on exposure to only one chemical at a time, they bear no relationship to reality. We are exposed to a raft of different chemicals in our lives, not just one isolated spray drift incident at a time. The scientists who dreamed up the regulations have no idea how these chemicals interact with each other and with the various other stressors our bodies are labouring under. Tell her that the only socially acceptable level of spray drift is zero. Just released. By the Ministry of Health on April 1st, 2000. But Soil & Health brought the results to you in our Jan/Feb and March/April issues last year. To summarise, 59 per cent of food samples contained pesticide residues, an increase of three per cent since the last survey in 1990-91. This time only 20 different pesticides were detected, instead of the 30 detected in the 1990-91 survey. None of these residues are regarded as illegal. Overall, the MoH estimates that there has been a downward trend in exposure to pesticide residues in food since 1991. For details of results, see the two Soil & Health issues mentioned above. One stand out result is that DDT was found in a sample of eggs. DDT lingers in the environment chiefly as its breakdown product DDE. For DDT itself to be found indicates that someone may have been using it in recent times. MoH are investigating. 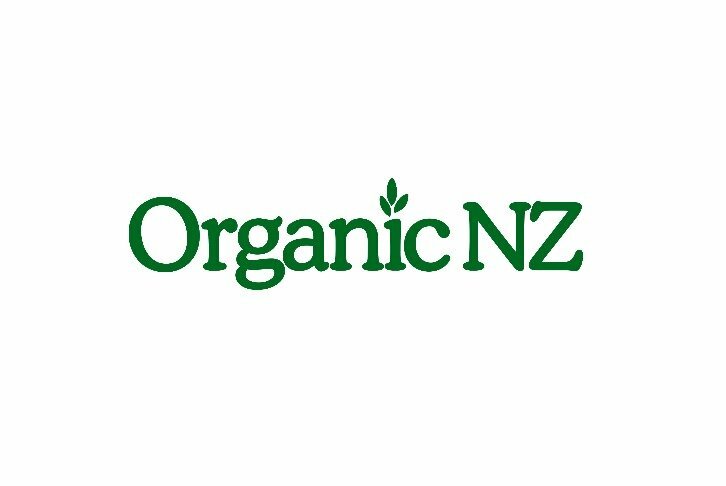 The organochlorine insecticide dicofol was detected for the first time in NZ produce, possibly because of improved analytic procedures according to MoH! Wonder what else is there that improved procedures might find. Dithiocarbamate fungicides remain a problem area, with detections occurring over a wide range of foods. Additionally, the MoH has revised the acceptable levels downwards, meaning that they are not as safe as they originally thought they were. Cancer is one problem. On the subject of residues in foods, it is worth noting the Australian equivalent of our Pesticide Board, the National Registration Authority, has requested that ANZFA raise the allowable level of 2,4-D residues in cereal grains tenfold, so that this one source of 2,4-D will provide 86 per cent of that deemed by the authorities to be the “acceptable” daily intake for the average person. This does NOT take into account the amount of 2,4-D inhaled if you happen to live in Northland and get drifted regularly from aerial applications. So how much 2,4-D is already in our diets? We have absolutely no idea – it has never been tested for in the Total Diet Survey. And incidentally don’t think that just because it is the Australians who are asking for the increase it doesn’t affect us. We have ceded our food sovereignty to Australia via ANZFA – the Australian New Zealand Food Authority which is heavily Australian dominated. • Bergkvist, P., Bernson, V., Jarl, S., Tornlund, M. 1996. Re-registration of pesticides in Sweden—results from the review 1990-1995. Pesticide Outlook, December 1996, pp:12-18. • Liden, C.J. 1989. Swedish Programs to Reduce the Environmental Problems Related to Agriculture. The National Board of Agriculture, Jonkoping, May 18, 1989. • Roy, A. 1999. The Cost of Living. Flamingo, London.